This six-minute trailer introduces viewers to a documentary film (currently in development) that examines the impact of the Indian Child Welfare Act (ICWA). The documentary is the product of an ongoing collaboration between the Mississippi Courts, Child Welfare Agency, the Mississippi Band of Choctaw Indians, and various National Resource Centers which specifically focus their expertise on educating non-tribal entities on the Indian Child Welfare Act and other issues related to Native American values. 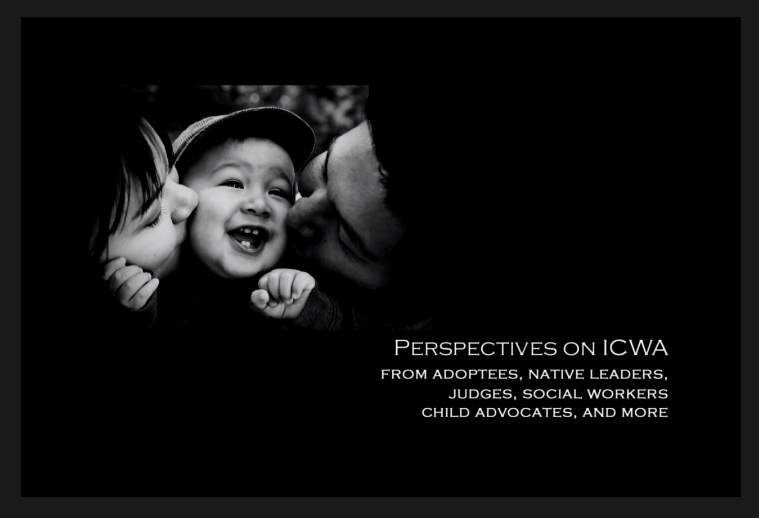 The trailer was developed by the Mississippi Administrative Office of Courts/Court Improvement Program in consultation with the National Resource Center on Legal and Judicial Issues and the National Resource Center for Tribes as an ICWA educational resource for judges, courts, child welfare, and judicial educators. The full-length documentary will be available in late 2013.